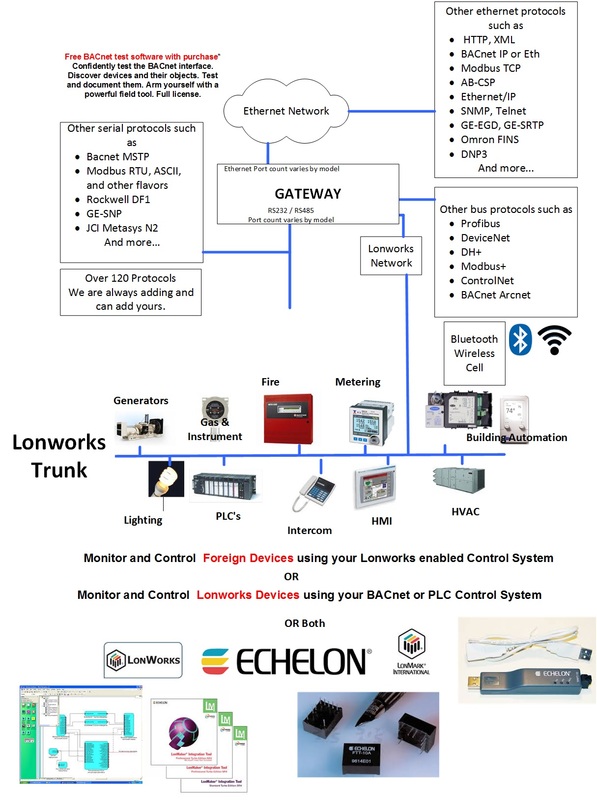 A FieldServer protocol gateway that provides data exchange between LonWorks and Carrier DataLink. The Carrier DataLink driver allows the FieldServer to transfer data to and from devices over either RS-232 or RS-485 using Carrier DataLink protocol. The Carrier DataLink Serial Driver allows variables to be read and written in system elements connected to a Carrier Comfort Network communication bus. 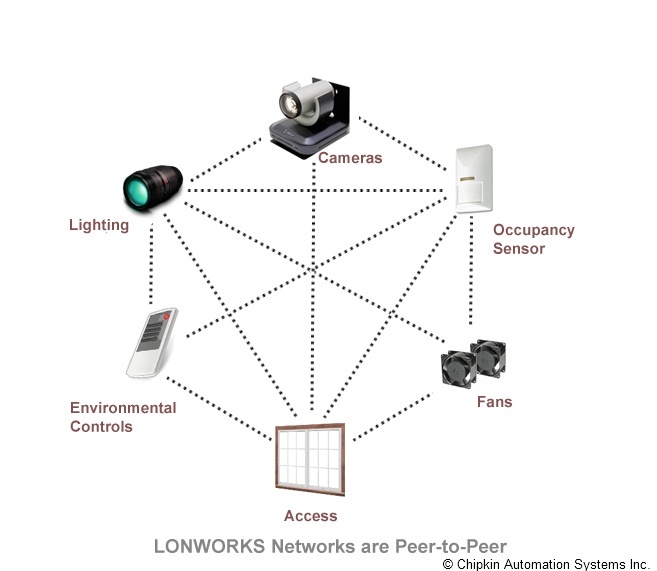 Up to 15 system elements may be connected to a DataLink Device. Display, Occupancy, Set Point Tables and Carrier Comfort Network (CCN) variables may be read or written. 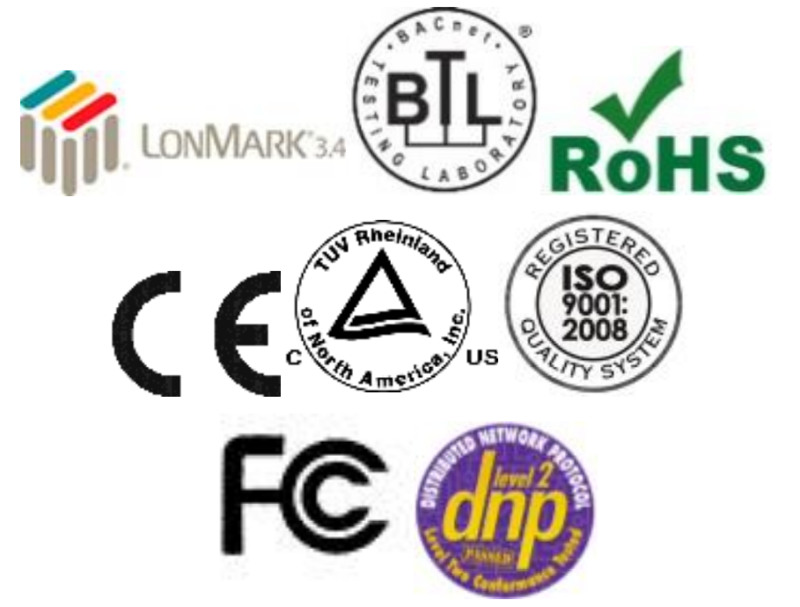 The DataLink devices provide a gateway to CCN devices. This driver polls the DataLink device which in turn reads/ writes data to the CCN devices. Carrier limits the number of CCN devices that can polled from a DataLink Device and also limits the data that can be transferred between some CCN devices and the DataLink device. For information on these limitations please consult the Carrier Corporation. The driver is an active client driver. This means that it initiates read/write polls with the DataLink device which is expected to provide responses. Server functionality is provided by the driver too. The driver is configured to allow data tables to be read from the CCN devices via the DataLink device. As the tables typically contain more than one data element, the retrieved data is stored in a number of consecutive FieldServer data array locations in the FieldServer. The driver can provide descriptions for each of the table values retrieved. The driver can be configured to read a specific variable from a CNN device and store its value using optional scaling in a configurable location in a FieldServer data array. The driver can be configured to write a value (using optional scaling) from a FieldServer data array to a specific variable in a CNN device, provided that the variable allows its value to be written. The driver has no advanced knowledge of the CCN devices and their data tables. Therefore it cannot validate table names or variables names specified in the configuration file. In addition, this means that the driver handles each table in a generic way, without regard for the particular variables that constitute the tables.